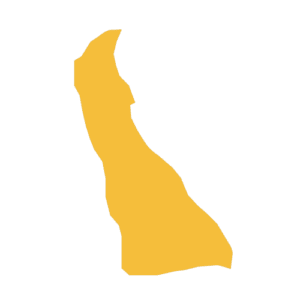 Construction and specialty contractors are required to be licensed in Delaware for revenue reasons and consumer protection unless your business is a general contractor, electrical contractor, plumbing contractor, or HVAC contractor. For these four classes, contractors must pass the state exam to be certified. 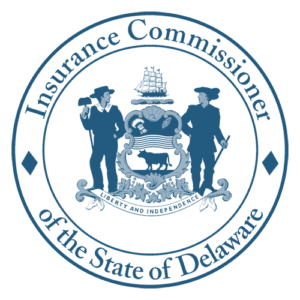 Delaware contractors with one or more employees must carry workers’ compensation insurance although farm workers can be exempt unless the employer decides to purchase this coverage. Contractors and subcontractors in Delaware are continuously exposed to risks from third-party lawsuits anytime they are at the jobsite. Employees working at the jobsite are also at risk for job-related injuries and illnesses. Vehicles and tools and equipment are also at risk at the jobsite, while in storage, or while in transit. Products Completed Operations that protects your business if there are problems with products you produce or install. Defense Costs – Any legal action that is filed against your business will require a response from an attorney. Your insurance company will pay to respond and defend your business. Delaware has implemented a unique non-NCCI classification system which does not match up one for one with the NCCI classification system. Additionally, the premium portion of payroll is not deductible for purposes of calculating Workers' Compensation premiums. But it’s important for contractors to understand that there are stiff penalties if a contractor is found to be operating without workers’ compensation insurance. Any vehicle that is owned or used by your contracting buiness should be insured under a Commercial Auto policy. A commercial auto policy provides higher liability limits and there are typically no limits on the number of vehicles or drivers on the policy. Your commercial auto insurance provides protection for liability and damages or the replacement of your insured vehicles. Contractors use many types of tools and special equipment that can be very expensive to replace if they are damaged or stolen at the jobsite, in transit, or in storage. When your business is covered by a contractors’ inland marine policy, these risks are transferred to an insurance company that will pay to repair or replace your tools and equipment. Although most state licensing boards require a surety bond before they will issue your license, you will likely need additional bonds for bidding on projects or working on government projects. The professionals at Fairbanks Insurance Brokers understand bonding and will find the right bond for you at an affordable price.